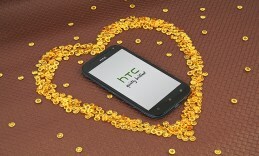 As a conclusion we could say that the One SV is a great and fast performing 4G smartphone by HTC. ince Valentine’s day is somehow turning into the international day of love, we decided to show you a great gadget that will always connect you with your loved one no matter where you are. This is HTC One SV. The device looks exactly like an HTC device: curved edges, narrow display frame and rubberized back panel for a comfortable and secure hold. The 122 grams weight and the 9.2mm thickness make the HTC One SV a rather compact gadget. The case comes in a rainbow of colors, it’s is available in black, white, gray, blue and red. For a mid-range smartphone it performs pretty well thanks to the Qualcomm S4 dual-core CPU at 1.2GHz work frequency. The system memory on board is 1GB DDR2. The memory storage on board is 8GB and this number is further expandable via the micro SD card slot on board with up to 32 GB more. The memory storage on board is 8GB and this number is further expandable. The Super LCD 2 display panel has a 4.3 inch diagonal and is protected by Gorilla Glass 2 coverage. The display resolution is 480×800 pixels and the pixel density 217ppi. The operating system on board is what is already considered a bit outdated Android Ice cream sandwich platform. The device uses 4G LTE connection for faster and smoother performance and browsing and flawless video and radio streaming online. The battery unit is a Li-Ion1800mAh one and it is removable. The battery life is great. The primary 5MP back camera has an enhanced f2.0 lens and achieves great results under any conditions. It shoots in 2592×1944 pixel resolution. The interesting part about it is the continuous 4 shots per minute. It is accompanied by a great LED flash. The front camera on its part has 1.6MP and is equipped with a BSI sensor. That abbreviation actually stands for back side illumination that helps you achieve great results every time, even in low-light conditions. The graphic processor available for the visual performance on the HTC One SV is Adreno 305. Micro UBS v2 port is available for connection with other devices but it also serves as a charging port. The HTC One SV really impresses with a loud and clear sound enhanced by Beats Audio technology. What I like about this is the f 2.0 lens but what I want is this to have some shallow depth of field if needed.